Topics: Further Nlc Picture, Aas Flyer, Pdf, Aas Meetings, and Stars From The Ne. 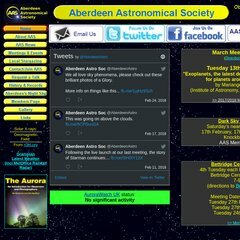 Aberdeenastro.org.uk's server IP number is 212.159.9.90. It is hosted by Virtual Isp Portal Servers (England, Sheffield,) using Apache web server. Its 2 nameservers are ns1.force9.net, and ns2.force9.net. PING hp.force9.net (212.159.8.90) 56(84) bytes of data. A ping to the server is timed at 110 ms.